Different people learn driving for various reasons, and thus want to learn the best skills to drive the vehicles safely. 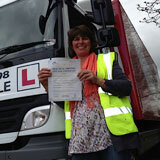 The demand for experienced and licensed drivers has recently increased. There are many transport companies that are willingly happy to pay a good salary to drivers who are aware of the safety rules and can easily drive through difficult roads. No company would want their drivers to be involved in any accident, as it will impact their goodwill. Also, there are chances that the accident can damage the goods carried on the heavy vehicles. The damage can be extensive, if it is a passenger vehicle and there are travelers in it at the time of the incidence. This is one of the reasons, why many drivers these days spend quality time to research and find the best driving schools that are available in the area they reside. There are many things that need to be considered at the time of selecting the best driving schools, and you cannot afford to miss on any one of them, as it can cost you with a chance of earning better job in the future. 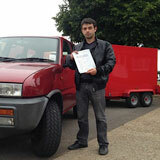 Your search for a reliable driving school ends with us at GP driving school. 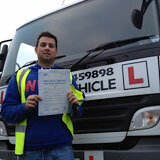 We are pioneers in training students, who are keen on learning driving either for personal or professional purposes. Our trainers can speak multi-languages like Spanish, Japanese, Hindi, English, French, and others. This feature makes us distinct from the rest of the service providers in the industry. 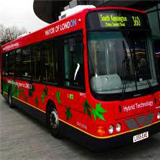 We have an institute in the Hyde Park, London and our trainers here work round the clock to provide the best training techniques to the students who want to become good drivers. Our expertise lies in the B+E car and trailer training program which is meant for people who want to drive MAM with trailers. You need to have a clear vision to learn the driving lessons. This will help us to suggest you the best course and the required license for the same. Large goods vehicles like trucks, bus, cranes, and others can be learned if you want to take up a job as a driver. Handling such heavy vehicles is not as easy as it to drive and handle your car. You can have a look at our 4 hours training program, wherein our trainers will teach you the skills and various techniques that are required for driving the vehicles. CPC or the certificate of professional competence needs to be acquired for driving such vehicles. You can enroll in our C1 training license program that contains all the details and training process, which is required to make you an experienced driver. After the successful completion of this program you can easily drive the medium-sized vehicles on roads. 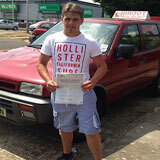 The applicant or the student intending to learn driving such vehicle has to be over the age of 21 years. Only then you can apply for the certification program. We have C1+E training program that has been exclusively designed for this course. Once you are trained on this program, you are eligible to drive the heavy vehicles for private purposes. 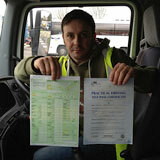 However if you aim to get a certificate to become a professional driver, then this one is not an ideal choice for you. If you want to drive vehicles that weigh more than 750 kg, then C1+E-7.5 training program will be the best choice for you. In this training program, enough care is taken to teach the drivers the different skills that are required to become an excellent driver. You can gain the knowledge to drive Lorries that weighs not more than 42, with a trailer then C+ E truck and trailer training course will be the perfect choice for you. Here you can make use of the articulated combination, which will make your driving safe. We are one of the best driving schools that provide you with a pass protection option, which is an assurance that you will learn driving the best possible way within the stipulated time frame. If the driving area of interest lies in Minibus that has a maximum capacity of 16 passengers, then D1 Minibus training guides will help you. All the required guidance is provided to the students through the D1+E Minibus and trailer training guide, which will allow them to drive vehicles that has a passenger capacity of 21. Through our D manual coach license the aspiring drivers can learn the skills of driving the vehicles, even on the heavy traffic roads. They can drive buses that have various features like wheel chairs, windows, and indoor televisions. 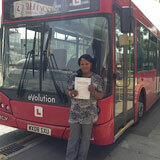 If you opt for the D+ E license training program the drivers can drive buses that has a capacity of 42 members. 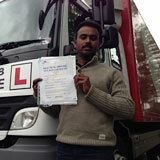 All the lessons for driving are well designed by our experts, and it is taught in a simple and effective manner. This will increase your chances to learn the skills confidently and without spending much time.